On the trip out to the reef on the catamaran we saw another humpback whale, this time with a small calf. The skipper of the catamaran got as close as he was allowed and switched off the engines (they have strict rules here on how close a boat can get, what angle the whale can be approached at and on switching off engines). They were both coming to the surface to breathe, the calf coming up quite regularly as they can't hold their breath like the adults can. Once everyone had had a good look the engines went on again and it was off to the dive site. Had a chat with the skipper and he's been involved with studies of the reef and gives talks on it, but he's also been involved in studies of whales, so we discussed the encounters we had. He's from South Africa and apparently when watching whales there they have different rules and boats have to leave one engine running the whole time so the whale knows where they are. On our second encounter we had the engine running the whole time as we didn't know the whale was there until it surfaced and blew right beside us. He reckoned it came up just to check us out, which it did seem to be doing. The first encounter we were just sailing, but quite fast (for us) at 8kts and we suspect it didn't know we were there or possibly didn't realise we were moving so fast. He also reckoned it was the growing calves that posed more of a risk to boats, being full of exuberance to surface, breach and play, but no experience of what they might run in to. 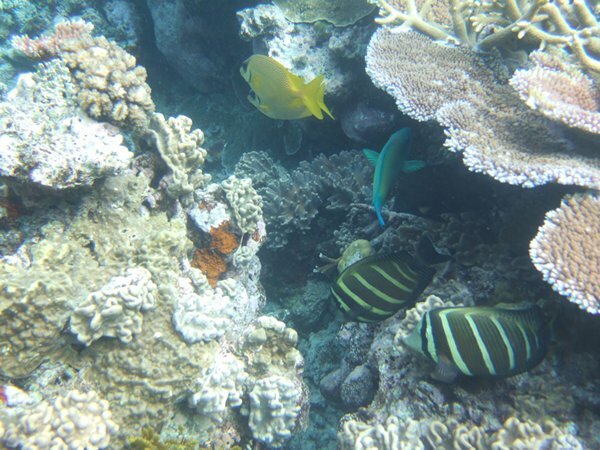 The reefs we visited were in pretty good condition and with reefs stretching for such a distance (1250 miles) it's a great place to dive and snorkel, but only if you have the right gear and the time to wait for the right conditions. 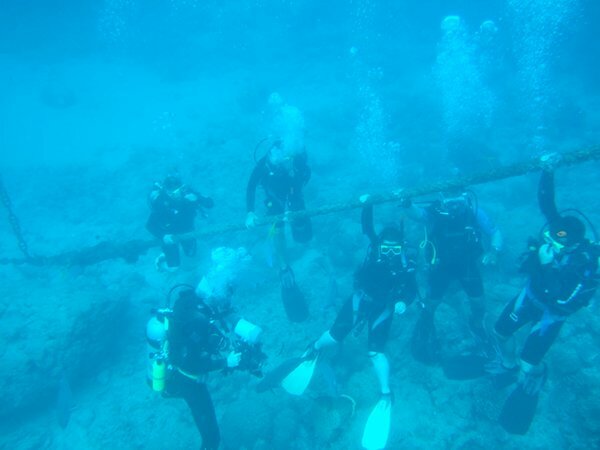 A liveaboard dive boat would seem the best option. The reefs are so far from the coast that going on day trips out is very expensive. Being so far out, generally it's not possible for a yacht to get out there and back in a day and with the predominantly strong winds, you would have to have local knowledge, or time to acquire it, to find safe anchorages. 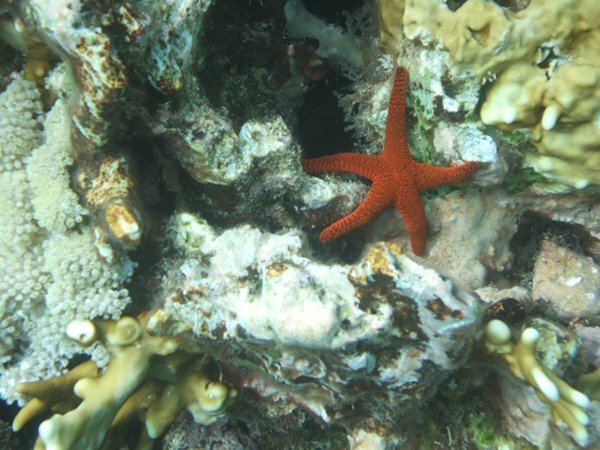 The cruising guides all cover coast or island anchorages with just the odd reef anchorage described. The time to visit here is in the winter when there are no cyclones, but being winter, the water is not that warm to stay in for a long time, even though it's in the tropics. 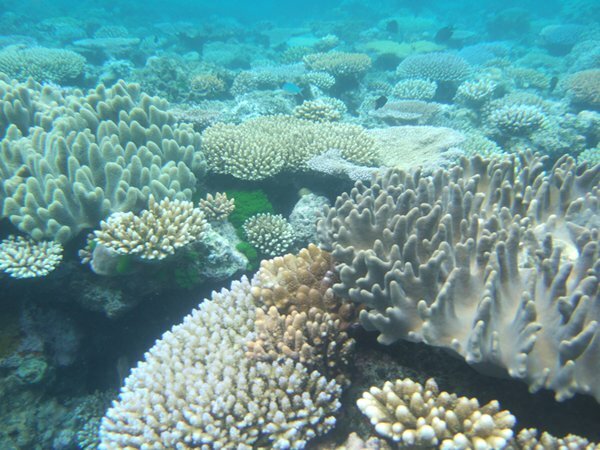 The winter sea temperatures of the Caribbean and Red Sea are much warmer. generally not permitted, but some still do. 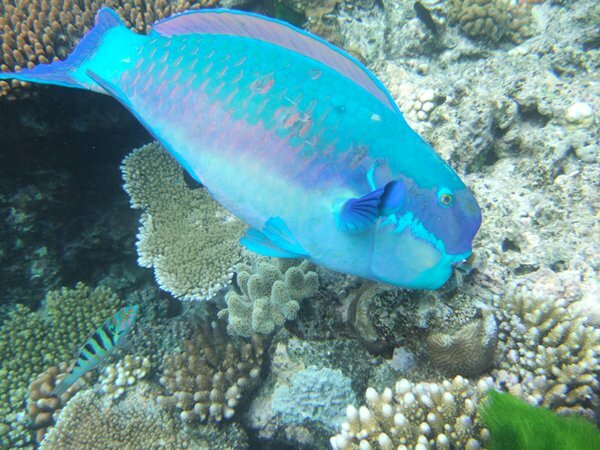 The reefs had lots of different reef fish. 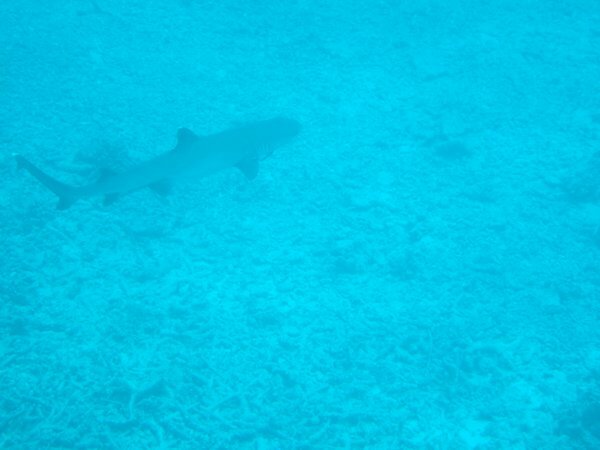 And a few sharks - a white tip reef shark swims beneath us. 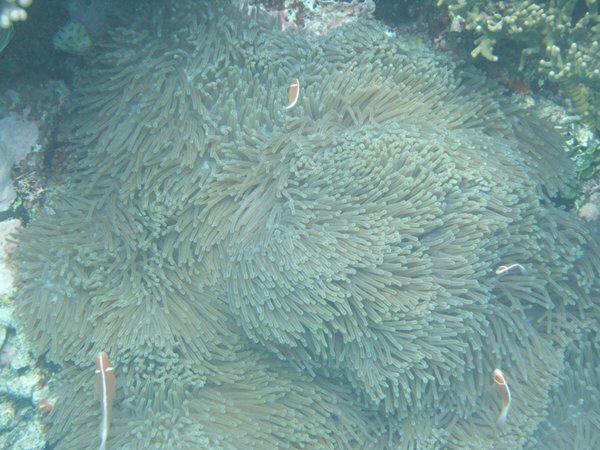 Plenty of anemones and a few Nemos. 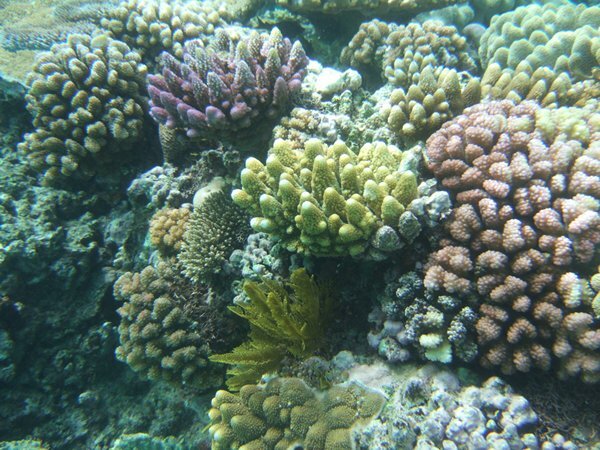 Lot of hard corals, but few soft corals (which Fiji was so good for). 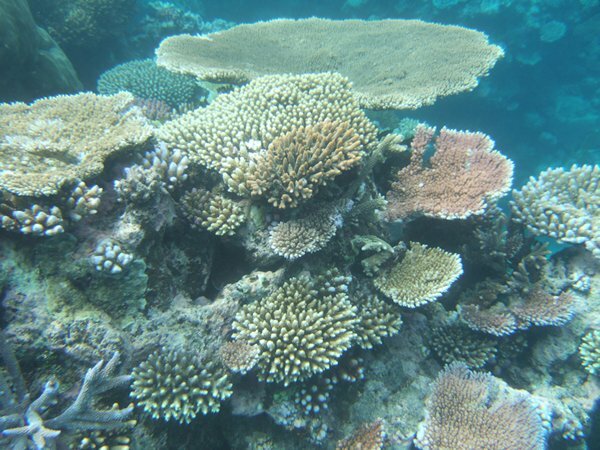 A coral garden (above and below). 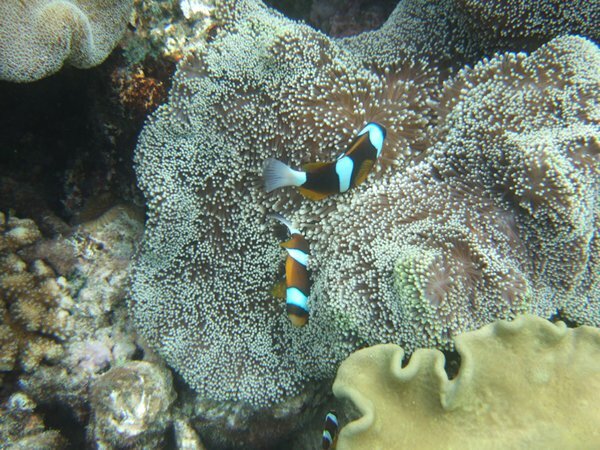 A different variety of Nemo (clown fish or anemone fish). 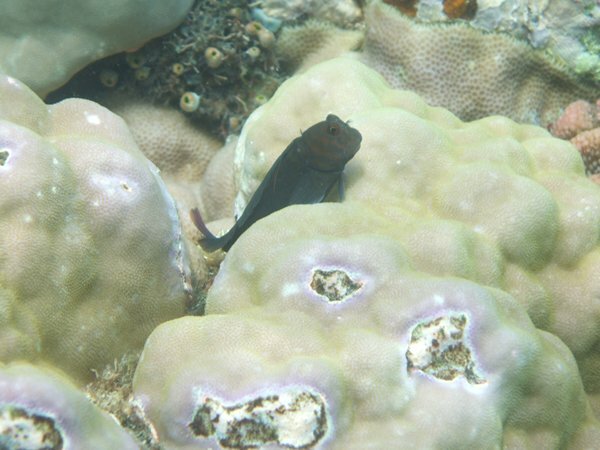 Small, but interesting, a Guppy sits in the coral and waits. 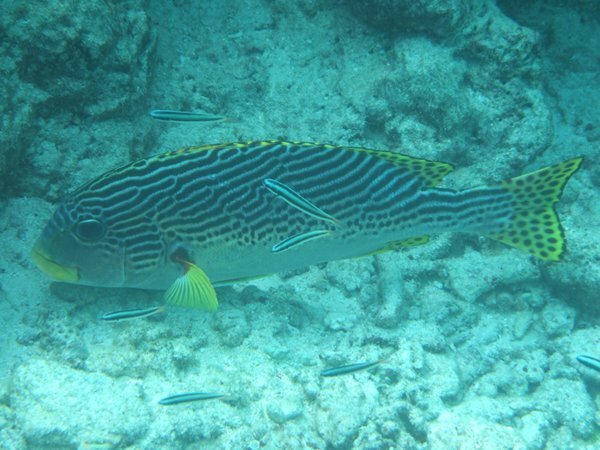 Lots of these Sweetlips were around and quite big they were too. 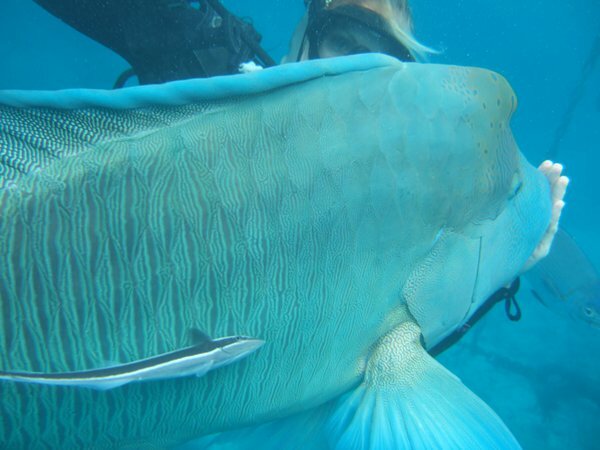 Lots of big Parrot Fish. 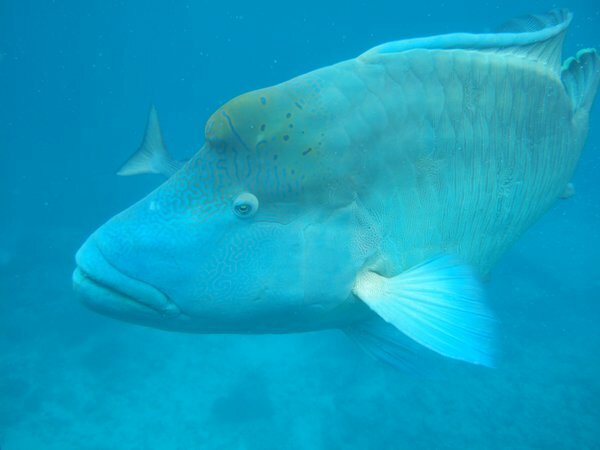 Saw very few of these in Fiji. Couldn't find these in the fish book! Trainee divers having their photos taken.